7 Gosport street, lymington, Hampshire. 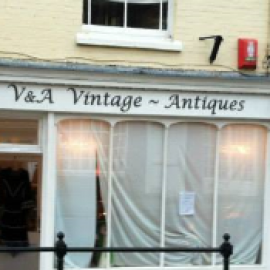 Antique Centre with a wide range of Victorian Pine and Oak furniture, vintage clothing, china, kitchenalia, shabby chic painted furniture, french furniture. We sell a selection of Vintage and Antique items from the UK and Continent including, Antique Pine, Enamelware, French Kitchenalia, Victorian China, Vintage Eiderdowns, Old French Fabrics, Painted VIntage Furniture and anything else we see and love. It is a passion for us not a job! !